PUNE: The 'public bicycle share' scheme, which will promote the use of cycles in the city, got a green signal from the standing committee on Tuesday. Steps will also be taken to repair the existing cycle tracks and build new ones. The new tracks will be included in the integrated bicycle plan of the city. "The civic body has been taking efforts to promote an environment friendly public transport system. The proposal approved on Tuesday is a step in that direction," Murlidhar Mohol, chairman of the standing committee, said. According to the PMC's proposal, "Pune can be a city where people find cycling, using public transport and walking convenient, comfortable, safe and attractive. The bicycle plan is part of the efforts by the PMC to transform transportation in the city." The project is supported by the ministry of urban development. The PMC's traffic department is overseeing the preparation of the plan. Civic officials said studies of the traffic situation for cyclists and cycle tracks have been done. The civic administration has conducted a survey of over 10,000 people for travel patterns, views about cycling and willingness to shift to cycles from bikes or cars. Consultations at all ward offices, with cyclists, cycle shops, schools, colleges and corporate groups have been carried out. The civic administration had kept around Rs 40 crore for the cycle plan. 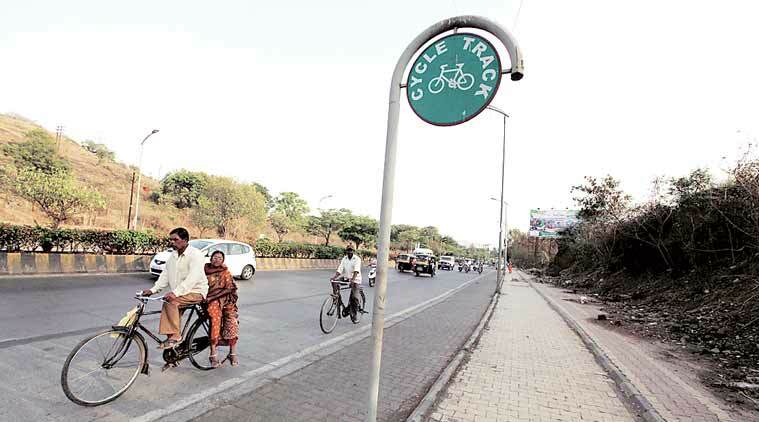 PMC has recently diverted Rs 10 crore from the Pune's bicycle plan. The standing committee has diverted these funds for other purposes.